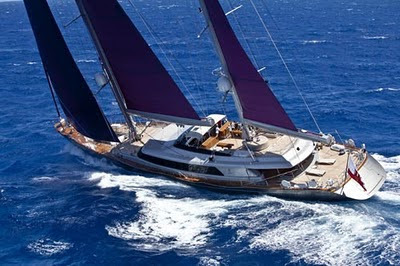 Now available for Charter in the Caribbean, the 2009 Perini Navi Sailing Yacht, Baracuda was built in 2009. She is 50 meters long and accommodates 10 guests in One Master cabin, Two cabins with double bed and Two cabins with twin beds. All cabins have en suite facilities.